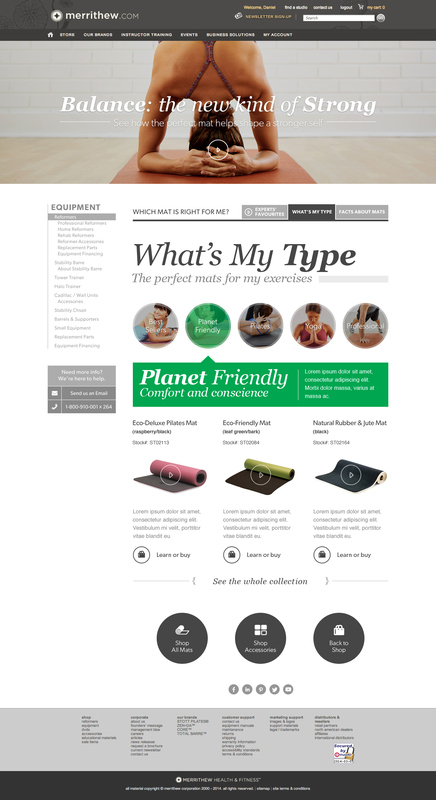 The Mat Boutique page showcases different types of mats, categorized by functionalities, materials, and usages. It helps users to learn more about mats before purchasing them, by explaining all the details and science behind the products, as well as the experts' video recommendations. The direction of the design is the combination of relatable photographs with fun colours and types. 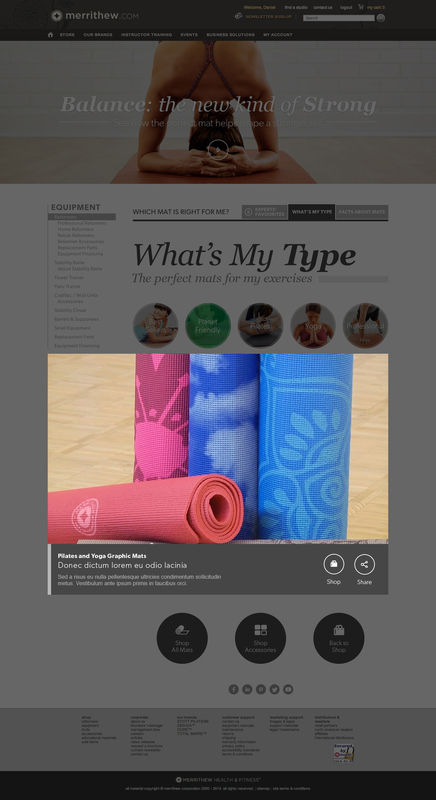 The Mat Boutique page showcases different types of mats, categorized by functionalities, materials, and usages. It helps users to learn more about mats before purchasing them, by explaining all the details and science behind the products, as well as the experts' video recommendations. The direction of the design is the combination of relatable photographs with fun colours and types. Section 2: What's My Type?